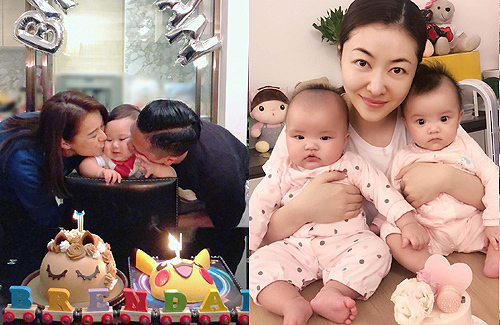 This week marked milestones for celebrity parents Myolie Wu (胡杏兒), Lynn Hung (熊黛林), and Jason Chan (陳智燊). 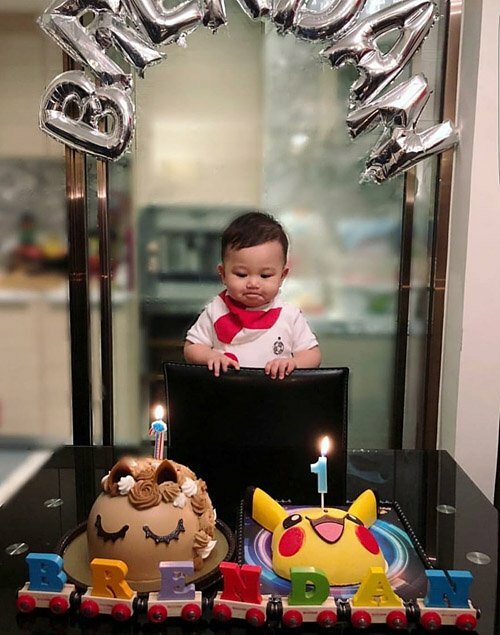 Myolie’s son turned one. 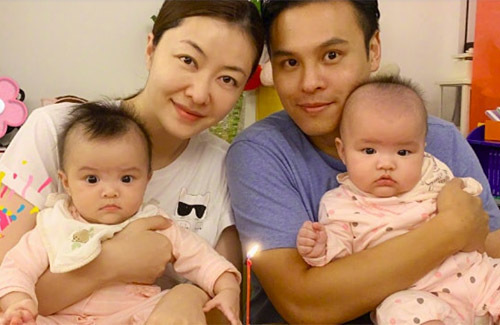 Lynn celebrated her 38th birthday with her six-month-old twin daughters. Jason is gaining more experience by the day as his son turned one month. The artistes shared sweet family photos with their babies on social media. 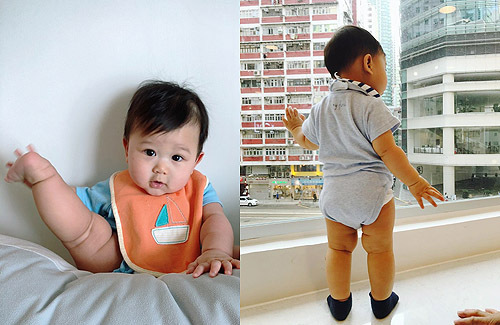 As Jason Chan’s son has passed the one-month mark, his baby looks are settling in. Sharing a photo of his son, Jason wondered who the baby looks like more. Jason concluded that the baby inherited his prominent nose and his wife’s Sarah Song‘s (宋熙年) eyes. The twins look different though. Agreed. One looks like her dad with her dad’s eyes, and one (the chubby one) looks more like her mom. 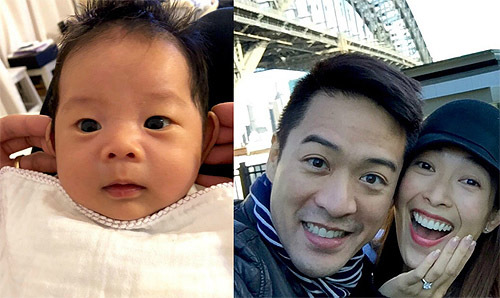 Myolie Wu’s baby boy looks very handsome and cute. Myolie and Lynn’s babies are so darn cute.